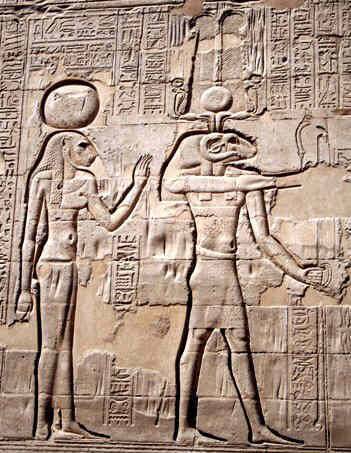 This article contains fast, interesting, fun facts about Menhit for research, schools, students and kids providing an insight into the lives and religious beliefs of the ancient Egyptians. She was a lion-headed goddess of warfare who was also known as Menchit with the epithet "She who massacres". Khnum, ram-headed god of fertility, was worshipped throughout Egypt and different cult centers featured a goddess, as his consort, that was favored in a particular location. 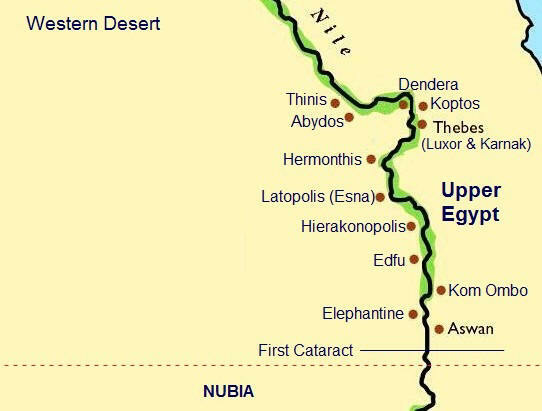 He was associated with Menhit at Hierokonpolis and Latopolis that were cities located in Lower Egypt. She was also worshipped in Upper Egypt where she was associated with Menthu, the Egyptian sun god of warfare at Thebes, and Anhur the Egyptian god of war and patron of the Egyptian soldiers at Thinis. 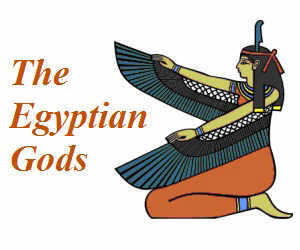 She was also named as the mother of the boy-god Heka, the Egyptian god of Magic and Medicine, although Neith another goddess of war was also named as his mother. As a fierce goddess of warfare she was perceived as a suitable consort to Egyptian war gods and one of her titles was "The Slaughterer." She was depicted in the form of a lioness wearing the red crown of Lower Egypt of the Sun-disk as her crown. Cat or Lion headed gods were believed to guard certain halls and gates in the Underworld and therefore associated with the dead. They were also protectors of the pharaohs and a full size gilded artefact known as the 'Lion Bed of Menhit' was found in the tomb of King Tutankhamen. The head of the bed depicted the head of a lioness and the foot of the bed was ornamented with a lion's tail. The hieroglyphics used to convey her name are the senet board that represents "mn" as a name component, the water ripple represents the letter N, the twisted wick represents the letter H and the rearing cobra symbol the letter T.
Facts and information about Menhit for kids with some amazing, cool and quick information about ancient Egypt and Egyptians. These fast interesting facts about Menhit are ideal for children, homework, schools, teachers and kids of all ages.